Pakalert Press » DO NOT SIGN THE ‘REFUSAL TO VACCINATE’ FORM! 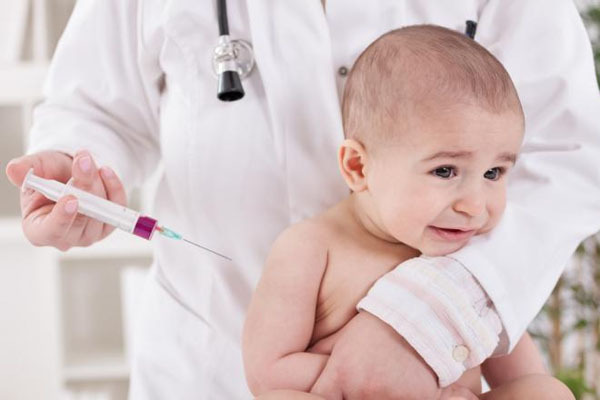 The “Refusal to Vaccinate” form was created by the American Academy of Pediatric’s ‘legal department’ as a response to the growing number of toxic vaccines recommended by them and the growing number of parents who are becoming educated on this issue. According to the CDC our children should now receive 37 doses of vaccine between 0-16 years. Recently in the STATE OF CALIFORNIA a statute was implemented (AB 2109) that requires their own form filled out and submitted to get a vaccine exemption. The following strategy now being used to overcome vaccine awareness is the most diabolical strategy possible! It is unlikely that physicians have any idea what they are asking their patients to sign . . . or to sign away. It is essentially a signed confession. So please read and understand why you can’t sign it and why it is really something other than what if appears to be. Here are 12 reasons why no parent can sign this form unless they are interested in being statutorily charged with neglect or intentionally causing harm. Repeating more boldly: This form, if signed, could be used to have your child(ren) removed from your custody! It is a form designed to stand up in court! Why else would they ask for the parent’s signature to be “witnessed”? The form attaches a child ID # that will be identifiable in the electronic records system across the country. Everyone from the school to the NSA will be able to determine who is and who is not vaccinated. Do not place any marks in any of these boxes. The physician’s records will indicate which vaccines your child has received. It would be best to put a large X through the entire section. The CDC Vaccine Information Statement is pure unadulterated propaganda. The real information about vaccines was exposed in 30 Years of Secret Official Transcripts Show UK Government Experts Cover Up Vaccine Hazards See info about the CDC – #9. Again the parent is misled to think the truth about vaccine risks is on the CDC web site.The doctor has the vaccine package inserts right in his/her office. Why is it not offered and explained to the parent? The physicians may have read them or not. However, the physicians are certainly aware that if the parents read the ‘official risks’ put out by the drug corporations, they would refuse the vaccines. Full disclosure is almost NEVER a part of the process. “I understand the following: The risks and benefits of the recommended vaccine(s).” This of course would be agreeing to a false statement. You cannot understand the risks without reading and understanding the package inserts. The ‘physician’ – is rewarded for administering vaccines by higher reimbursements for his fees. His vaccine “rates” are checked to determine whether or not he/she is entitled to more money. Physicians, public health workers, and drug companies have all been given immunity from any possible lawsuits that may arise as a result of vaccine-caused injury or illness. In other words, if a vaccine harms your child or causes autism you cannot sue any of them. The American Academy of Pediatrics which is a corporation headquartered in the STATE OF ILLINOIS – that receives lots of money from drug corporations for advertising in their Journal, etc. This organization relies heavily on what they believe to be a “government” health advocacy agency known as the Center for Disease Control (CDC). The American Academy of Family Physicians which is a corporation headquartered in the STATE OF KANSAS – that also receives lots of money from drug corporations for advertising in their Journal, etc.This organization also relies heavily on what they believe to be a “government” health advocacy agency known as the Center for Disease Control (CDC). This is the broadest and most nefarious part of this so-called form. This is not only deceptive and untruthful [see numbers 2, 3, 4, 5, 6, 7 and 8] it is asking you to confess that you know you are harming your child (and others) and don’t care. It is asking you to agree to inform any/all people who consider themselves to be healthcare “professionals” (not defined) of your child’s vaccination record. You are also agreeing to permitting undefined healthcare professionals to keep your child in isolation due to unproven or unknown exposure to a myriad of undefined communicable diseases – with or without testing. Let’s think . . . how much money is made by forcing all children in American to be ‘fully’ vaccinated? Billions or is it trillions? Its not about the money. Its about making the sheeple stupid and sick so they do not pay attention to the evil government spraying their skies every day globally to hide Planet X or the coming WW3 against amerikka in October.